c. 300 BC. 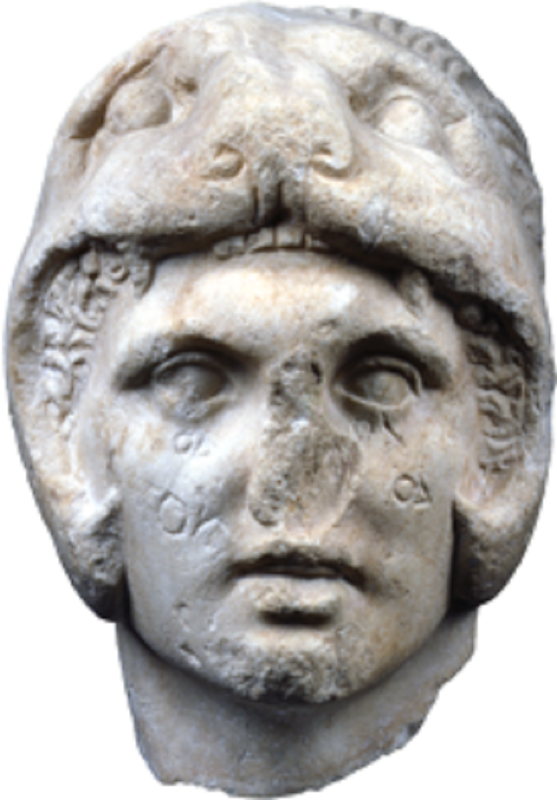 Height 0,28 m.
Marble head of Alexander the Great, found in the Kerameikos, Athens c. 300 BC. Head of Alexander the Great, made of pentelic marble. It was found in the Kerameikos, Athens. 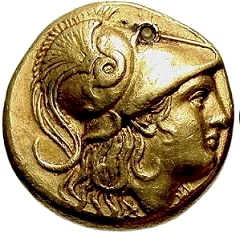 Alexander wears the lion’s pelt, a common iconographic feature in depictions of the young king on coins, which hints at his descent from the mythical hero Herakles. 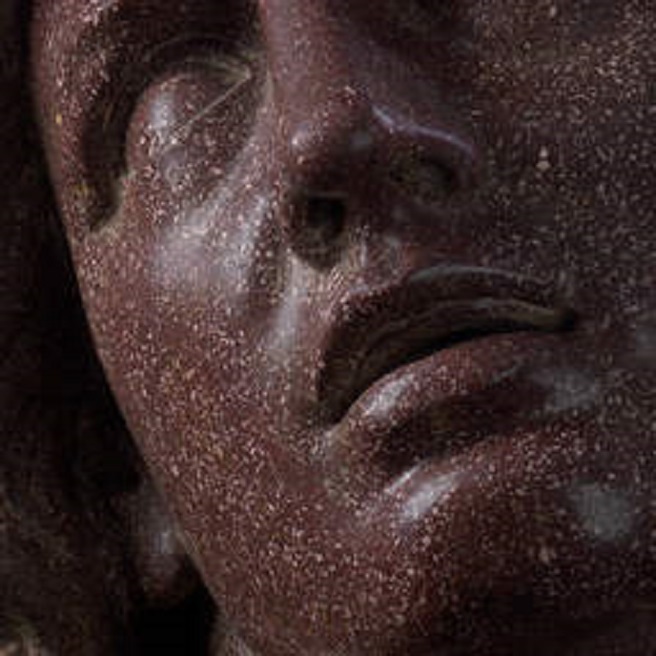 The letters on Alexander’s face were carved at a later period. Head of Hephaestion. Unknown. Greek, about 320 B.C. Marble. The J. Paul Getty Museum. The son of a noble Macedonian family, Hephaestion was the beloved companion of Alexander the Great. Together since boyhood, Hephaestion fought alongside Alexander as he created his great empire. When Hephaestion died in Persia in 324 B.C., Alexander mourned him extravagantly. He was given a royal funeral and Alexander ordered the cities of Greece to worship Hephaestion as a hero. 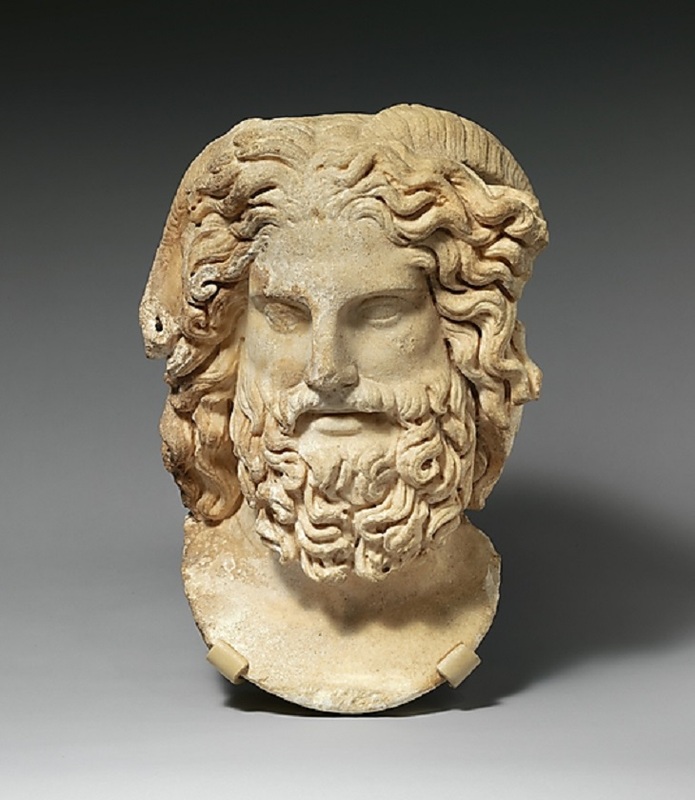 This head of Hephaestion, broken from a full-length statue, was originally part of a multi-figured group, which might have depicted a sacrificial scene. The J. Paul Getty Museum has more than thirty fragments of this group. The participants include Alexander, Hephaestion, a goddess, Herakles, a flute player, and several other figures, as well as animals and birds. This group may have served as a funerary monument for some nobleman who wanted to associate himself with Alexander, or it might be a monument erected in response to Alexander’s call for the creation of a hero cult. The appearance of this head has changed over time. A metal ribbon or diadem once circled the head, although only a shallow groove remains today. 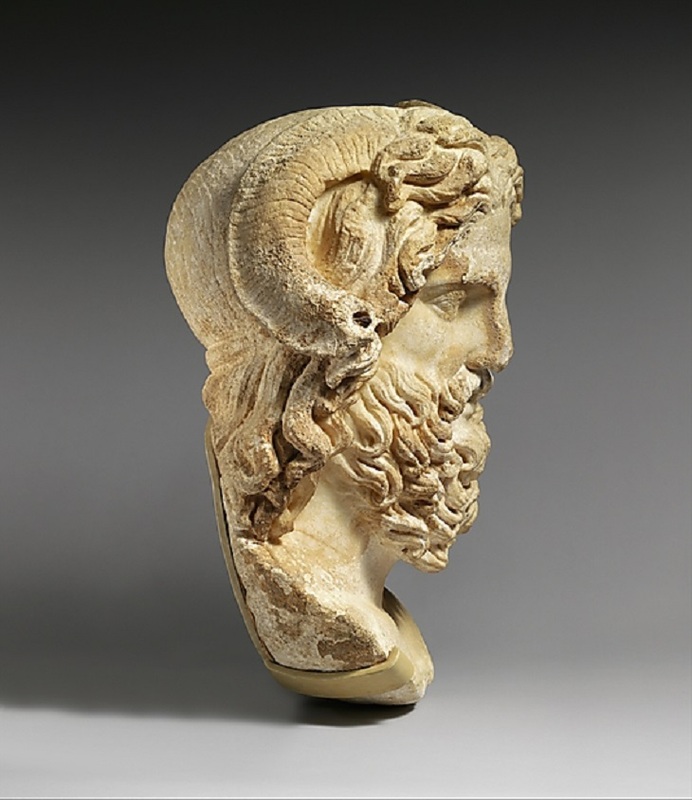 The head was also re-carved in antiquity, with the hair shortened and the lower eyelids altered. A Roman replica of a marble head of Alexander the Great. It was found in Kom El Dekka in Alexandria by the Polish expedition. The head bears the traditional features of the portraits of Alexander the Great which were mooraged by the sculptor Lysippos. The head is inclined to the right, the eyes are gazing meditatively into the distant horizon.